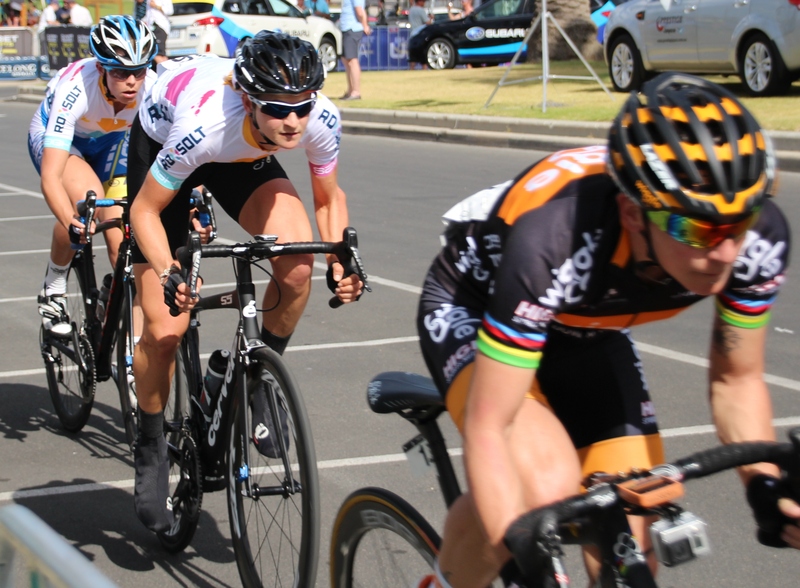 The elite women kicked off 2015 with some hot racing in Victoria’s bay crits and national road titles ahead of the Santos Women’s Tour in Adelaide and the UCI season. We’ve seen strong solo wins to Gracie Elvin and Peta Mullens at bay crits, a fourth time trial crown to Shara Gillow and the national crit title recaptured by Kimberley Wells. 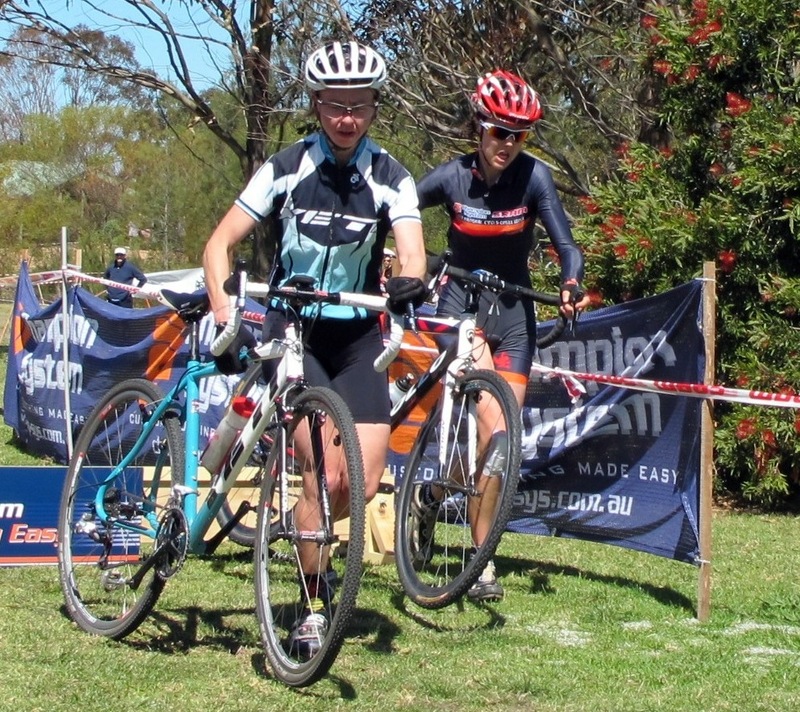 And that was before mountain biker Mullens outsprinted worlds silver medallist Rachel Neylan for the road race stripes. Talk about depth. It’s a fitting start to the year after a breakthrough 2014, the highlight of which was La Course. We’d been told a women’s race at the Tour de France couldn’t be done but event owner ASO proved that the biggest obstacle was making the decision. While the abridged broadcast of the race on the Champs-Élysées trailed expectations, riders and fans loved it and both Marianne Vos and the new team at UCI chalked up a win. September’s busy. Winter hibernation and grand tour sleep deprivation ends with the Vuelta, the northern cx season bursts into life and everyone’s training. 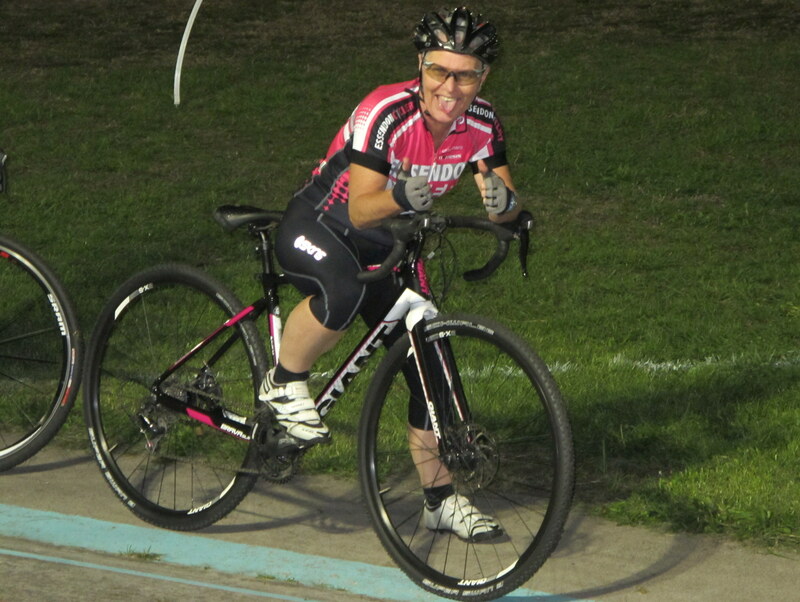 The more committed masters are peaking for Amy’s Gran Fondo in the hope of qualifying for the UCI Amateur Road World Championships. Even with 5000 starters it sells out fast and qualifying times are plummeting. Huge numbers also spend September training for Around the Bay in a Day (ATB). Slated just after Ride2Work day in October, ATB put 14,000 bums on bikes last year and similar numbers are expected in 2014. 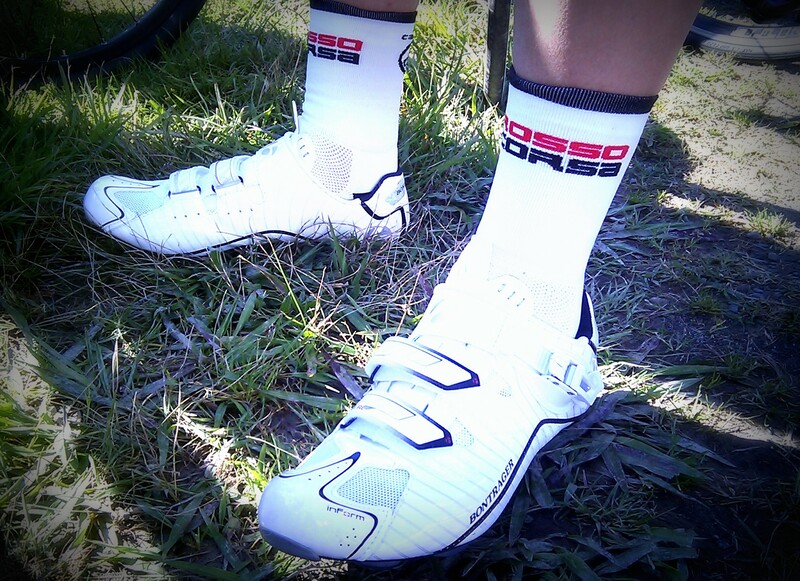 All this training and warm spring weather means legs are shedding warmers like snake skin. And after months lurking in the dank and gritty gloom of booties, socks are finally peeking out like daffodils to brighten the cycling day. Will it be a great summer for socks? A women’s Tour de France is a near certainty within five years in some shape or form, according to Wiggle Honda Pro Cycling team owner Rochelle Gilmore. “I’m nearly 100 per cent sure of that. I don’t know on what level, how many days, what courses, what length of stages – but there’s definitely demand for it,” Gilmore said. 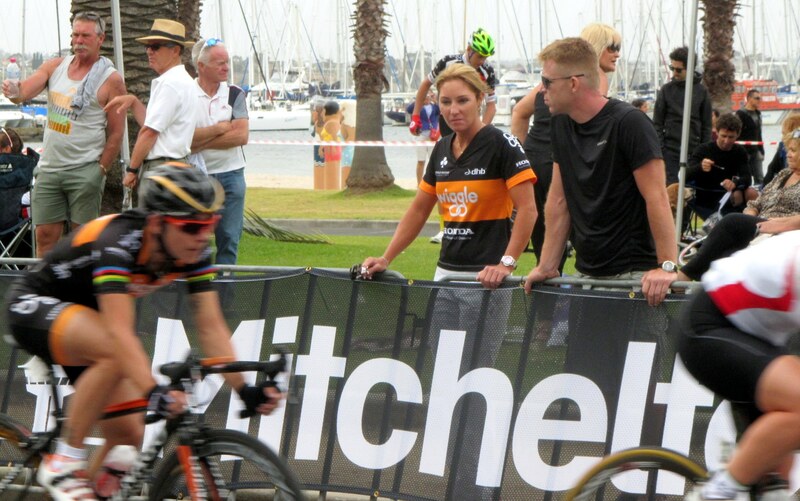 Gilmore was speaking at the Mitchelton Bay Cycling Classic – the bay crits that she won in 2010 and 2011 – in Geelong. The idea of a women’s TdF drew negativity last year*, but Gilmore’s take on it now that the dust has settled is encouraging. “I personally think that maybe some comments have been misconstrued but I think that a lot of people involved in cycling – even the ones who say it can’t be done – want it to be done. “But the reality is that it can’t happen overnight. The men’s Tour de France is obviously built from something; it’s just not like ‘bang’ and it’s there. So I think people being negative is just to say ‘Look, you’ve given us a bit of an impossible task to put a women’s Tour de France on overnight’. Gilmore’s Wiggle Honda team opened its 2014 account at the bay crits with the team classification, the series with Giorgia Bronzini and the sprint jersey with Peta Mullens. 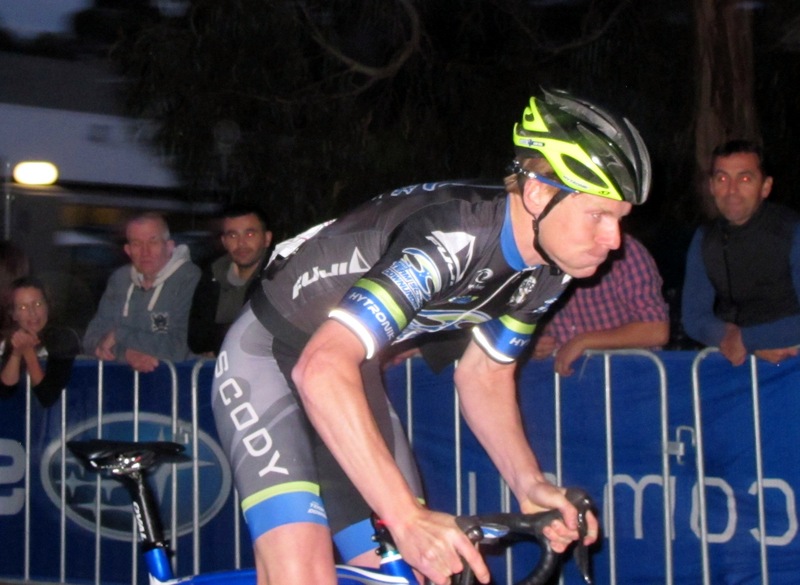 Mullens then backed up with silver in the elite national criterium on Thursday. It’s an impressive start to the year after a strong debut for the team in 2013. Signing Bronzini looked like a coup for a new team but the pair go back to 2003 as neo pros and share a similar story. 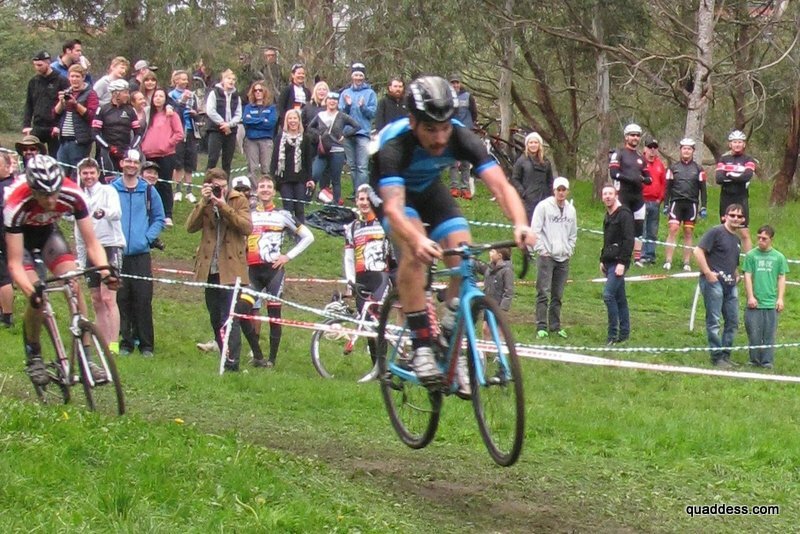 Gilmore was a successful junior in BMX to Bronzini’s mountain biking, but both have ridden track and road to success. Gilmore dipped a toe in the team management water with the Honda Dream Team, then launched the pro team at a time when sponsors were deserting men’s cycling. It wasn’t the easy option, so why? Gilmore said, “It was a challenge in a world where the economy was struggling and women’s cycling really needed people like me to step in and take some really big risks. I took a really big risk and put my life savings in to building a women’s cycling team and ensuring that the women who joined the team would be looked after well, no matter what happened with sponsorships. “So I had to get myself into a position over the last 10 years where I could financially back the team myself in case that was to happen. I would never want a situation where people are out of jobs, so it was a really big risk and obviously it took a lot of courage to do it. I’m really glad I did. “Things went quite smoothly for me. I think the year was probably less challenging than I thought it would be; or more challenging in some areas that I guess I overlooked. The psychology side of it, when you’re managing 16 athletes from nine different countries and 10 to 15 staff members, is not an easy task. A big part of this business is people management so that was a bit of an eye opener for me but it’s a part of the job I really like. In setting up the team, Gilmore was determined to take a different approach to what she’d experienced as a pro rider. “There’s two sides of it. One is the sponsorship – bringing the money in to the sport and ensuring return on investment. I’ve used a completely different approach to what women’s cycling team managers have done in the past, in ensuring that our sponsors get return on investment and getting hard facts to prove it. In Geelong, for example, she hired adjoining townhouses so riders could socialise in living areas rather than being isolated in hotel rooms. “Also, involving the athletes in the running and business of the team is something that other managers would never ever consider doing but it’s worked really well with our team to make the athletes accountable for decisions that are made. Like many others, Gilmore is confident about the future of women’s pro cycling following the changes delivered already by new UCI president Brian Cookson. Top of her wishlist for the near term is TV coverage. “The first thing that I wanted to see happening is happening and that’s the UCI funding TV coverage. So they’ve put their hand in their own pockets and said ‘We want women’s cycling on TV and we’re going to fund it’. So there’s no discussion any more about that; there will be women’s cycling on TV – 52 hours of coverage will be funded by the UCI next year. “That’s going to be an exploding market for a lot of people. It makes a really big difference to the sport because obviously then sponsors can get direct returns on their investments, and guaranteed returns. Gilmore used the camera well as a pro so perhaps it was no surprise to see Wiggle Honda making the most of its media opportunities to deliver for sponsors in Geelong – better than some of the men in fact. The kit graphics are strong, riders perfectly turned out on the podium, and they filled the lens behind Bronzini in interviews (bonus points to Chloe Hosking’s Roxsolt teammates after stage two for this too). They turned heads in Geelong just crossing the road to the podium in formation. That’s the sort of professionalism that warms a sponsor’s heart – and prompts men in the crowd to share their observations unprompted; thanks guys ;-). Gilmore said 2013 exceeded her expectations on every level, on and off the bike. “It was hugely successful for many reasons. Obviously I have some really good assets in my athletes. “They had been briefed really well before they joined the team about my ambitions for the team which revolves a lot around the professionalism of women’s cycling and the promotion of women’s cycling. So they’re two things that I’m very passionate about that and that I’m wanting to do properly and the athletes that I’ve chosen to join the team complement my ambition in women’s cycling. It’s going to be worth watching. * UCI rules limit women’s road races to a maximum of eight days and 130 km stages, but can be over-ridden. Or changed. Under Brian Cookson, the UCI has shed the requirement that most riders on women’s teams be under 28, which arose by grouping them with men’s Continental squads. A women’s Tour, the La Grande Boucle Féminin, ran from 1984 to 2009 (most years, later truncated) – concurrent with the men’s tour in the early years but without the media coverage and therefore sponsor interest. Marianne Vos, Emma Pooley, Kathryn Bertine and Chrissie Wellington last year set up a petition seeking a women’s Tour de France in 2014. The petition, now with 96,944 signatures, seeks the same distance and dates as the main (trademarked) event but the manifesto recognises a potential pilot or inaugural tour of three to 10 days. I’m not sure we need three weeks of ˜200 km stages for women. But we need to make a start.